You maybe like your beard and loves grooming it using some beard trimmers, and for a while, that’s fine because that’s all you need for grooming your hair, but with age, the nose, as well as ear hairs, start growing and trimming them with usual trimmers is not possible at all. Those beard/mustache trimmers can’t reach certain areas of your nose/ear to trim hair growing inside them, so this can’t be a good choice for such task. Or probably you are already using tweezers and scissors to tackle with nose and ear hairs and we know that’s tedious, risky as well painful and not a decent way to handle grooming nose hair. So, if you think that you are good with handling that pain and know yourself as a risk taker to trim your nose & ear hair with scissors and tweezers then you should not bother further. However, if you are a smart person who knows what’s best for you and knows how to use the technology then using a Nose hair trimmer is the best option here. We have reviewed dozens of nose trimmer with various features and functionality in various price ranges and we ended up finding these 6 best nose trimmer for you which you can use to remove all those nose hairs which are coming in front of your charming face appearance. In term of buying an ear or nose trimmer, Philips Norelco is the first choice which should come to your mind. If you are into grooming then you must already know that Philips Norelco stands quite well in this era. Philips Norelco NT1500 gives you easy, smooth and comfortable trimming experience of unwanted nose and ear hairs. The smart blade technology of this trimmer protects your skin from nicks and cut while trimming. Due to its perfect shape of the head, it reaches every corner of your ear and nose. The head of this trimmer is completely washable so you can maintain hygiene and prevent the small hair from clogging the blades for trimming with it next time. Panasonic ER417K gives you painless trimming of your nose and ear hairs. It has stainless steel blades which cut those grown hairs either in your nose or ears. This trimmer has R-shaped round blade with 60-degree edge, which lets you trim your nose and ear hair with ease. The ergonomic design makes it look decent and unique in front of any nose trimmer out there. The head of this trimmer is completely removable and you can even wash it under running water once you are done with trimming. Washing its head removes any loose hairs which might get stuck in the blades using the cleaning brush. Another best part about this trimmer is that it’s cordless, and can easily fit in any travel pouch, so you don’t have to worry about being closer to a power socket to charge it. This trimmer is powered by a single AA battery to facilitate cordless usage. 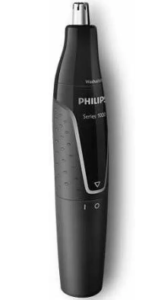 Philips NT1120 is a fast and comfortable trimmer for trimming your nose and ear hairs. It is fully washable and easy to use with its Textured grip which gives it better control. It has rotaring blades which are protected by a metal guard to provide a powerful yet protective trimming experience without any nicks and cuts. There is no oil needed for its blade, all you need to do is wash its head after removing those unwanted hairs in your nose and ears, which gives you absolutely easy maintenance. Buying this trimmer from Amazon gives you with a 2-years of worldwide guarantee. This cordless nose trimmer is one of the best choices which you can come through under your budget. It has stainless steel blades which are durable, convenient, and has lightweight material. The sharp blades provide the sharp precision, smoothest, cleanest cut. 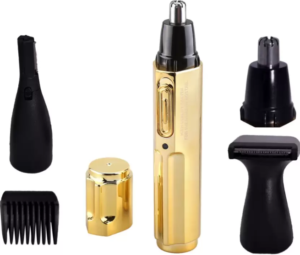 It has the bright LED grooming light, which is used for locating and finding the area hard to reach, and then cut the hair very easily and smoothly. 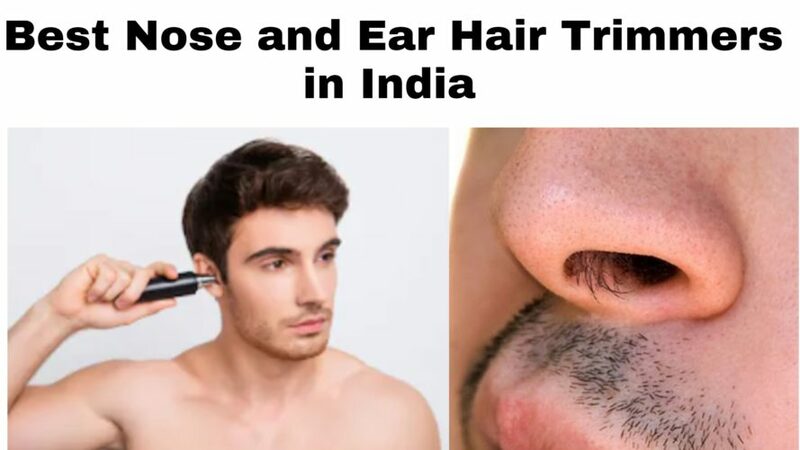 Not just the nose, it can work for trimming ear hairs, trimming neck, eyebrow as well as body hair. This trimmer is absolutely sleek, compact and absolutely convenient, perfect for travel and home use. Kemei KM 6619 is one of the best ear and nose trimmers for men and women which you should use. It designs itself is very decent which and comes with the washable head after every trimming for your hair on nose and ears. It usually takes 6-8hours to charge completely and once it’s charged, then you are ready to go, you can even pack this on your travel pouch. 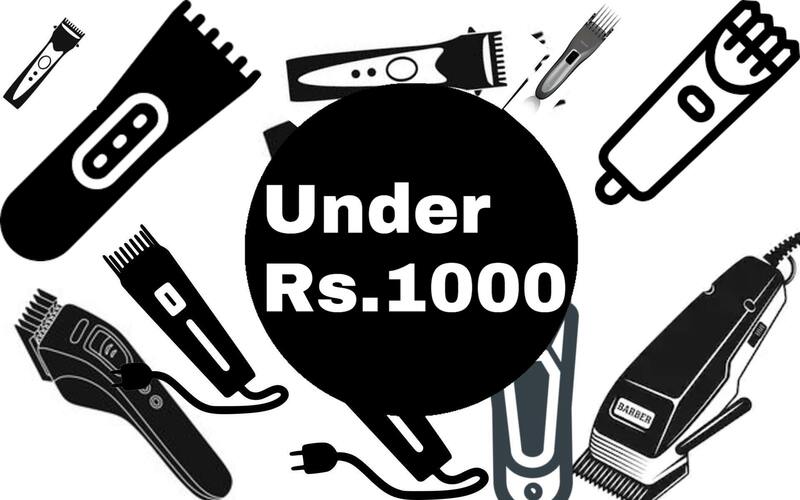 The price itself of this trimmer is very reasonable. If you are concern about your budget and needed a nose and ear trimmer which can work quite well for you, then Kemei KM-021 is one of the cheapest nose and ear trimmer which you can buy for sure. It can remove those unwanted nose and ear hair which are ruining your personality and appearance in front of other people. In term of size and looks it maybe not the best choice but with such cheap price it is worth trying. So, these are the 6 best nose and ear trimmer for men in India which you can buy online. We have listed only the best product in term of pricing as well as quality. The majority of Indian users are concerned about their budget, so we have tried to make this listing quality as much as we can and budget friendly as well.